Biocatalysis pre-dates synthetic organic chemistry, with some of the oldest chemical transformations, namely brewing fermentations, being commonplace before recorded history. The application of enzymes and whole cells to the food and drink business has been industrially important for many centuries. The application of biocatalysis to organic synthesis has grown rapidly in recent years. A Scifinder search of the terms ‘biocatalysis’ or ‘biocatalyst’ gave 854 references to articles published in 2002, growing to 2,932 references in the same period 10 years later. 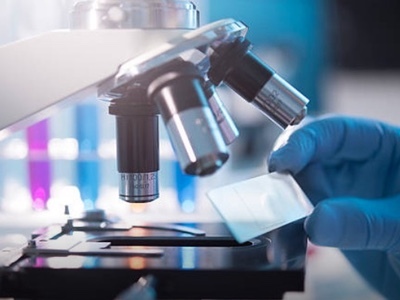 Once the preserve of specialists, working with in-house collections of enzymes and cultures, the development of large and diverse collections at companies such as Almac is leading to biocatalysis becoming a widely and generally applied technology. In part, this increase is due to the wide range of chemical transformations that may now be achieved biocatalytically. The synthetic power of enzymes is their unequalled selectivity for the chemical reactions they catalyse. This is illustrated in Figure 1 using a hypothetical molecule. The phrase ‘paradigm shift’ has been used out of turn in many technological advances in recent years, but this is certainly not the case when related to biocatalysis. The paradigm shift for the acceptance of biocatalysis is persistent and at the forefront of research within the fine chemicals and pharmaceutical industries. 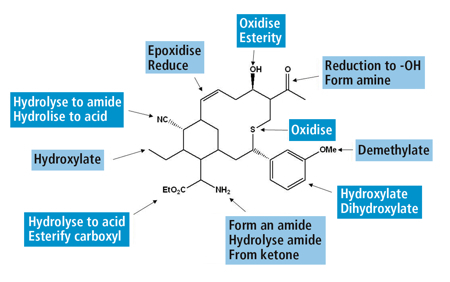 This shift in acceptance has resulted in biocatalysis becoming the work-horse of the chemist’s tool-box for chiral chemistry. 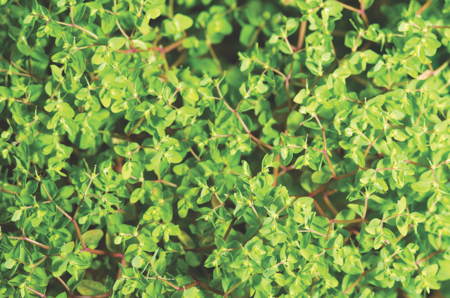 The reason for the surge in the application of this green technology, in Almac’s view, is simply that success breeds success. 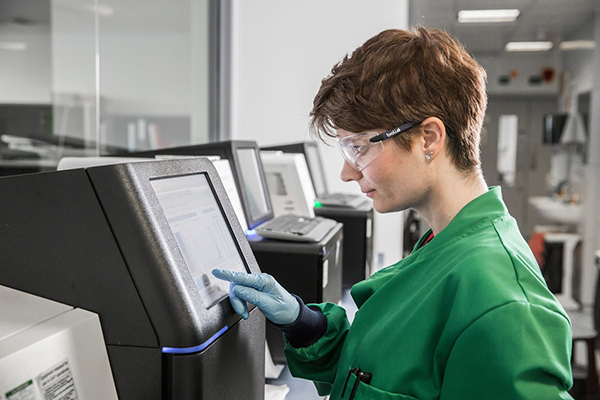 Unlike 10 years ago, now all the supporting technologies are in place to make a real difference in enzyme development, such as bioinformatics, enzyme evolution and high throughput screening. Another key advantage of running these processes is the timeline required for implementation. From selection of a catalyst to actual manufacture of product, timelines are similar to those of conventional chemistry optimisation and scale-up. One of the key drivers in drug discovery is ready access to novel, drug-relevant scaffolds. In response to the UK Technology Strategy Board’s 2009 initiative ‘Developing High Value Chemicals through Industrial Biotechnology’ and call for feasibility projects, Pfizer (Sandwich) and Almac Sciences were awarded funding for a joint project in the field of enzymatic reduction of prochiral ketones. For Pfizer, the project aimed to bolster the company’s compound file with libraries of enantiopure alcohol building blocks. It was hoped that early access to enantiopure alcohols would obviate the need for synthesis, then chromatographic or chemical resolution of racemic API, thus speeding medicinal timelines. Enzymatic asymmetric reduction of ketones is now a well-established tool for the efficient generation of chiral alcohols in high enantiomeric excess with glucose or IPA commonly used as stoichiometric reductant. Following a ‘selectAZyme’ screen of (R) and (S) selective CREDs (carbonyl reductase enzymes), selected hits were then scaled up to produce gram quantities of a library of enantiopure secondary alcohols. 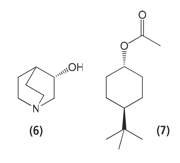 Figure 2 shows some of the compounds that were prepared during this project. There are a number of reaction parameters to consider when developing a CRED reduction, including temperature, pH, cofactor regeneration and % substrate loading. Systematic evaluation of these parameters identified good reaction progress at 30°C (lower temperatures gave slower reaction progress; higher temperatures also gave slower reaction progress, presumably due to denaturation of the enzyme), pH 6-6.5 (pH 8 gave significantly slower progress) and 20 volumes of solvent. IPA (20% v/v wrt substrate) was shown to be effective at regenerating the cofactor. Lower (sub-stoichiometric) concentrations of IPA gave incomplete reaction while higher concentrations also produced a detrimental effect. Convenient as IPA is to use for cofactor regeneration, it does lead to an equilibrium that doesn’t favour complete substrate reduction. This problem was overcome by applying a partial vacuum to the reaction mixture to remove acetone, while sparging in IPA to maintain a sufficient concentration in the reaction mixture. Application of these conditions on 100g input substrate scale, using the CRED as a cell paste, generated the desired product as a colourless oil in 88% yield with an enantiomeric excess of 99.8%. Significantly, the product was of sufficiently high purity to use directly in the subsequent step without any further purification. For many projects, biocatalysis can be purposely employed from the outset. However, biocatalysis is also a highly valuable technique when problems are encountered with a process. One example of this is shown in Figure 5. Delivery of this project required access to a chiral amino alcohol of high enantiomeric purity. On lab scale this had been readily achieved by a traditional diastereomeric resolution. However, as this chemistry was developed for scale-up it quickly became apparent that this resolution wasn’t working as required, with low yields and challenging filtration issues being observed. To ensure that the committed delivery date for the API was met, work started on an enzymatic resolution approach, while continuing to work on improving the crystallisation. Following a selectAZyme hydrolase enzyme screen, a lipase was identified that converted the undesired enantiomer to an acetate ester, simply by running the reaction in ethyl acetate (both as acyl donor and solvent). The two product components (desired enantiopure alcohol and undesired ester) were readily separated and, following some focused development work, the lipase approach was successfully applied on scale, leading to on-time delivery of API of the required purity. Although the positive impact of biocatalysis is now generally widely accepted, there remain a number of perceived barriers to its use. The supply chain for larger quantities of a selected enzyme is too slow: The key difference between biocatalysis today and those of 10 years ago is the availability of supporting technologies such as bioinformatics, enzyme evolution and high throughput screening, which make a real difference in enzyme development. Processes can now commence within weeks and enzymes evolved in months. The biocatalyst provider will want to have IP on my molecule: Many enzyme companies now offer a straightforward price per kg of enzyme with all project-related IP belonging to the customer. There will be residual protein in the product and this won’t be acceptable to our regulator: There are a number of reliable techniques for ensuring that there is no residual protein in the manufactured product and many regulatory approvals have now been made for commercial processes that employ biocatalysts. Use of an enzyme requires specialist knowledge: Some knowledge is required to get started but this information is readily available and most enzyme supply companies will be happy to help you get started. In conclusion, the proven ability of biocatalytic technology to produce hard cost savings for pre-existing processes or to provide novel routes to access NCEs is at the forefront of Almac’s key technologies and investments. The key difference between biocatalysis today and 10 years ago is that we now have excellent supporting technologies that greatly simplify enzyme identification, development and preparation of easy-to-use catalysts. Biocatalysis is truly a 21st century technology readily available to all chemists. It brings many benefits, including new route options, process simplification, increased speed of delivery, no heavy metals to control and the potential to generate some new IP to protect your invention. It’s time to give it a go. 1. Sheldon, R. A. 1993, Chirotechnology, Marcel Dekker, New York, p105. 2. Neuberg, C. and Hirsch, J. Biochem. Z., 1921, 115, 282-310. 3. Hildebrandt, G. and Klavehn, W. Ger. Pat. 548 459 (1930). 6. Calvin, S.J., Mangan, D., Miskelly, I., Moody, T.S. and Stevenson, P.J., OPRD, 2012, 16, 82-86.